The effect higher steel tariffs and slower sales are having on profits is making investors nervous about Ford Motor Company. Speculation is rampant that Ford’s bond status could slip to junk status. A Bloomberg report says Ford Motor Company is rated one step above junk by Moody’s Investors Service and two steps by S&P Global Ratings. Delving into junk bond status would ramp up Ford’s investment costs. The timing could not be worse. Ford Motor Company has more than $150 billion of short- and long-term debt globally, and is one of the 15 biggest corporate bond issuers in the U.S. outside the financial sector, according to Bloomberg. One industry analyst said that three main factors drive Ford’s problems: a combination of a fairly weak strategic position, less than ideal strategic decisions over the last handful of years, and a smattering of overconfidence. The company is also seeing growth slow in China and greater U.S. expenses associated with global trade issues. 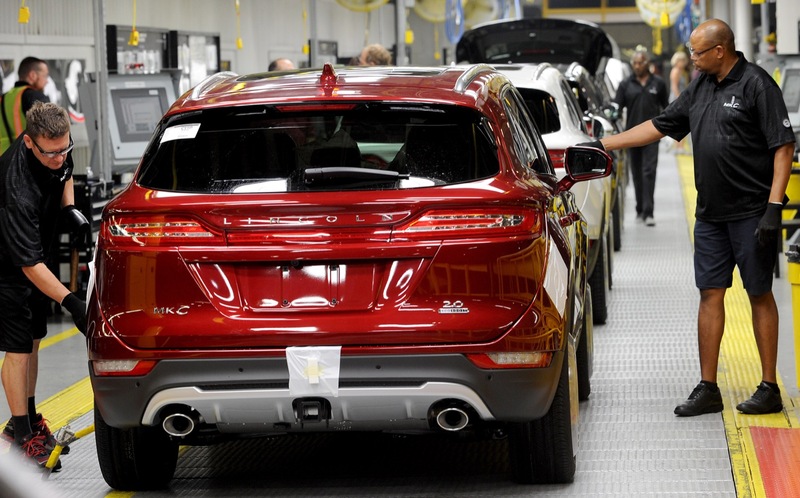 Ford Motor Company announced in July a five-year restructuring plan valued at $11 billion. What has investors concerned, though, is Ford has not shared details on what exactly that plan looks like. Also, its shares last month fell to their lowest level since 2009. Also, Ford Motor Company’s October 2018 sales were off with 192,616 new vehicle deliveries in the U.S. market, a 3.9 percent decrease compared to October 2017. Sales dropped at both of FoMoCo’s brands – Ford and Lincoln. What especially has investors nervous is comparisons being drawn with 2005 when Ford and GM were both cut to junk bond status. While Ford Motor Company avoided bankruptcy and GM didn’t, the Dearborn auto manufacturer was forced to leverage pretty much everything it owned. It wasn’t until 2012 that Ford once again had an investment-grade bond rating, which made borrowing a lot less expensive. Recently, retired Ford CEO Alan Mulally told an industry trade group not to count Ford down and out quite yet. He said things might look “messy” in the short term, but the company is in a good position moving forward. They said they are out of the car business. Ghost of Isuzu? Or just more Ford mistakes? Neither. Have you checked the sales rates of sedans lately? He’s talking about sedan sales of the whole industry. Every manufacturer’s sales are declining for sedans. From Ford’s perspective, their sedans already weren’t terribly competitive against the Japanese sedans. So why update the vehicles in a market that is declining even though the brand loyalty for sedans is almost insurmountable? Really sad, but Ford has no one to blame except its self. Long time Ford customer family but last purchase was with GM due to following: Very poor dealer service, changed service to another dealer and it was a little bit better but not much., Ford vehicle had several quality problems after couple months. My problem was really not the vehicle but the dealer(one time after a simple oil change service they could not locate my vehicle, after two hours>I kid you not)< I told them to find it or I was going to call Police, at this time the lot car jockey drove in with my car, seems like he put on 120 miles and used my gas. Dealer offered to give me the oil change for free and fill my gas tank, I told them to out it where the sun does not shine and never returned to that dealer for sales or service, Next car was a Chev Impala which I love and super excellent dealer service. The problem I see with Ford is a lack of progression with it’s products. Today’s buyers are different. People don’t want understated, muted, and traditional. People want innovation, style, and substance. Until Ford rebrands itself as a progressive company producing interesting and compelling products, they will continue to struggle until those who are brand loyal can no longer make excuses when obviously better products are available. I mean, it’s not impossible Ford. Kia and Hyundai turned themselves around in less than a decade and Kia is damn near luxury at this point with better interiors, better reliability, and better warranties. This is a failure of leadership and vision, to be honest and I’m not seeing that change with Jim Hackett. Ford of Britain has abandoned its usually loyal pensioners who rely solely on discretionary Pension increases, for about 10years now, without a word of explanation. Many would not have taken early retirement if they knew they would be abandoned, without some inflation protection. Worst of all is – zero communication with those who helped design & build Ford’s products and reputation in it’s most lucrative European market. (Ford is still Market Leader in Britain). What happened to “The Family of Ford”. This disrespect and neglect, coupled with the ignorance of not communicating with those affected (waiting for them to die off?) is presumably because Ford CAN do this to its loyal retirees reliant solely on discretionary pension increases. The cost to Fird may be hidden but thst’s A whole lot of people and their families the company has treated unfaitand with disrespect. A lot of negative Sales force. Someone should do the right thing and restore discretionary pension increases to those retirees solely reliant on these to help partially offset inflation. This is a blot on Ford ‘s (The Family of Ford?) reputation. Who is responsible for continuing this neglect and feeding a negative sales force?